Home / Dogs / Everything you need to know about canine atopic dermatitis! Ever heard of allergies? or atopy? These two diseases are an increasingly frequent reality, both in humans and in their pet friends. Canine atopy manifests itself mainly in the form of atopic dermatitis, corresponding to eczema in humans. An allergic disease – just like in human allergies, there is an overreaction of the body when it enters in contact with substances that are normally harmless. These can be pollens, soil fungi, dust mites, human skin dust, etc. An Inflammatory disease – the allergy itself will cause an inflammatory reaction, which can translate into swelling and / or redness (eczema). A Chronic disease – the dogs will carry it for the rest of their lives. You cannot heal atopic dermatitis, just control it. A Pruritic disease – which causes itching, which mostly occurs in areas where there is eczema. A Multifactorial disease – several different factors contribute to the development (or not) of the disease and its severity. These can be divided into environmental and genetic. Lifestyle – living in large cities, rather than living in more rural areas, increases the risk of this disease. This is because city dogs spend more time indoors (more “indoor” style) and are exposed to increased levels of air pollution. Atopic dermatitis may be hereditary: a recent study suggests that nearly 50% of the risk of developing atopic dermatitis is determined by the dog’s genes. This risk is greater if both parents are atopic, moderate if it is only one and minor if none have the disease. There are a number of breeds that are most frequently affected: West Highland White Terrier, Boxer, English Bulldog, French Bulldog, Dalmatian, Labrador Retriever, Golden Retriever, German Shepherd and Cocker Spaniel. 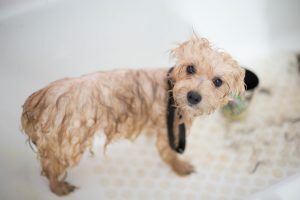 What are the symptoms of atopic dermatitis in dogs? Itching – this is the most common symptom. It occurs more frequently in the head, belly and especially in the legs. It can manifest itself through acts such as scratching, biting and / or licking. One of the most common signs is paw licking! Unlike cats, this action is not a hygiene practice, but rather an indicator of itching. Eczema – these are red areas that appear most often in places that itch. The skin in theses areas may also appear darker and brown. Loss of hair – almost always the result of scratching excessively when the itching is very intense. As a result of this, scratches and wounds may appear on the skin. Otitis and conjunctivitis – affect up to 50% and 60% of dogs with atopic dermatitis, respectively. You should suspect of atopic dermatitis when a dog has several episodes of at least one of these two problems. In addition, secondary skin infections may appear, especially when the skin is more fragile. These signs may appear throughout the year or only during a specific part of the year. This will depend on the substance to which the dog is allergic to and its contact with it. Exclusion of other diseases – there is no examination that tells us that a dog has atopic dermatitis. Therefore, in order to obtain a diagnosis, all diseases with similar symptoms must be excluded. The need for such exclusion makes diagnosis time-consuming and possibly costly. Appropriate treatment varies according to the type of allergy, its severity and the reaction of the dog to the various therapies. Consequently, each dog needs to be evaluated by a veterinarian, so that the veterinarian can prepare a tailored treatment. This must be done for the rest of the life of your dog, in order for the disease to be under control. This treatment often includes tablets or ointments and its main goal being to control the symptoms, especially the itching. Regular bathing – bathing with specific shampoos can do wonders for your friend. Its effect is so positive that it may even be the only measure needed to control the disease in mild cases. This effect is a consequence of the elimination of substances that may be in contact with the skin and cause the allergy. 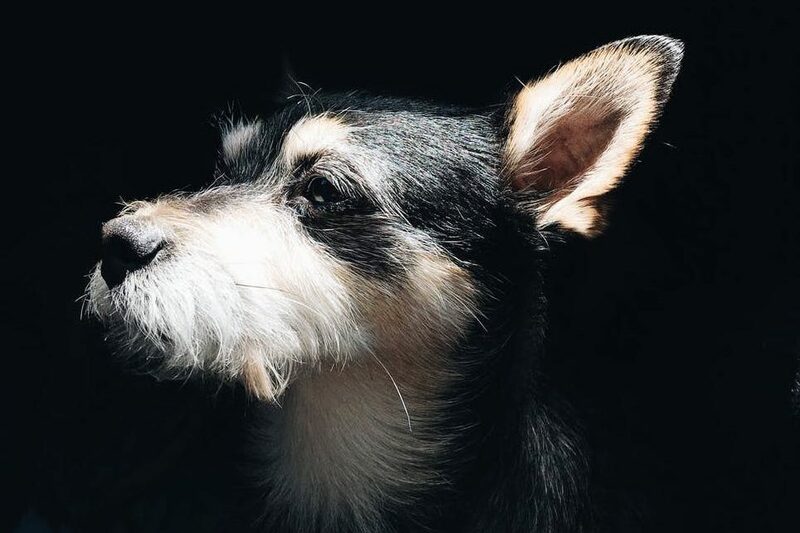 Fatty Acids – supplementation with fatty acids, whether through diet or the application of specific creams in affected skin areas, can benefit your dog. Fatty acids will form a protective layer on the surface of the skin, protecting it from external aggressions. Moisturizing creams – one of the consequences of eczema is dry skin. Dryness can further aggravate the itching, so it should be prevented. One way can prevent dryness is to apply a moisturizing cream to eczema. However, make sure the dog does not lick the cream. 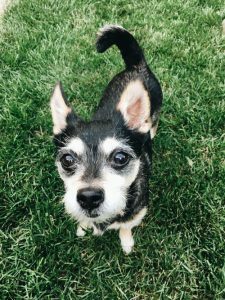 What is the impact of atopic dermatitis in my dog’s life and mine? The higher the level of itching the lower the level of quality of life of dogs with atopic dermatitis. Dog owners may also feel their quality of life is negatively affected! It is common for owner to feel some degree of stress, not only because they their dog is sick but also because of the wear and tear caused by the “burden” that is the treatment for the rest of the dog´s life. However, if your dog has atopic dermatitis do not despair! Although this disease has its challenges, it can be easily controlled with the right measures. Do not hesitate to consult your veterinarian, as this is the best person to help you. Remember that good communication with the vet will allow a treatment as tailored and appropriate as possible, improving your quality of life and that of your dog.